1. Prepare rice per package. 2. In skillet, brown pork; drain fat. Add remaining ingredients, mix thoroughly. Bring to a boil; reduce heat to low and cook uncovered, 5 to 10 minutes. 3. Spoon a thin line of rice in center of tortilla; layer on pork mixture, and top with sour cream. Fold in sides, roll up tightly and serve. 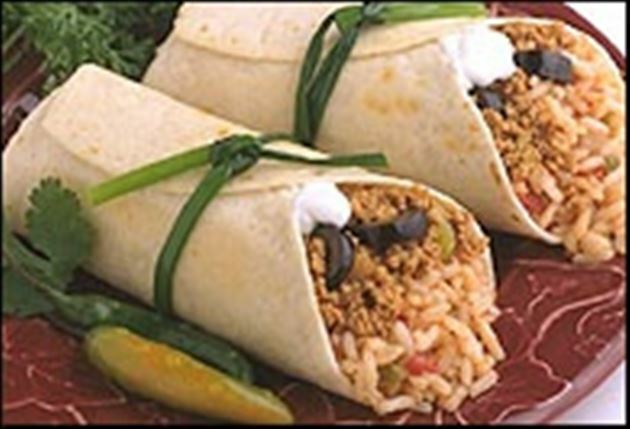 Enjoy this delicious pork and rice Mexican recipe!